This very elegant tazza was made during the Art Deco period. 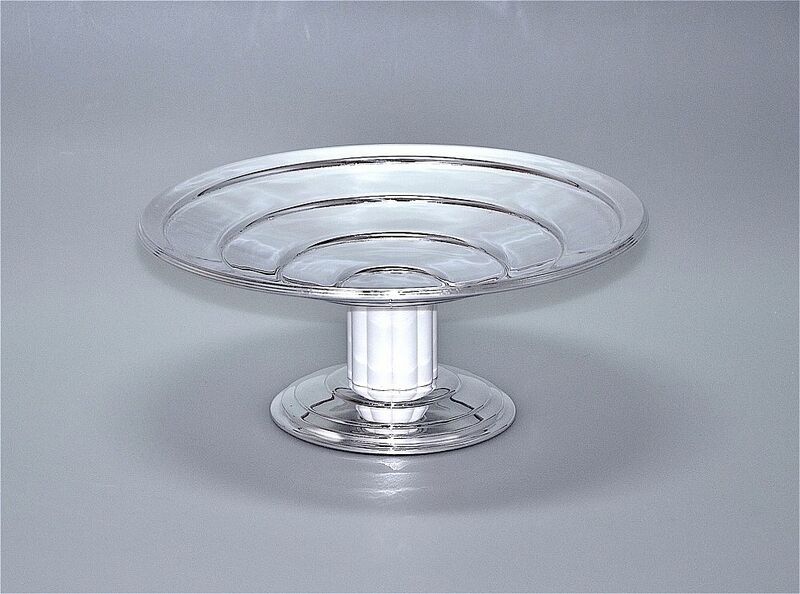 It has a round four tiered slightly domed silver plated base leading to a central column of ridged white bakelite on top of which is a round slightly concave four tiered top. The underside of the base is stamped "EPNS" with a maker's name stamped along side it that unfortunately is not decipherable. A very pretty and useful piece.